Ever tried scrunched up formative assessment? This is a tried and tested strategy for self, peer and whole-class assessment. Crumpled assessment is a very engaging way to get a snapshot of the ideas and explanations children hold and you can use the information to design and provide targeted learning opportunities for conceptual change. You write an open-ended question on the whiteboard. Each child thinks about the question, commits a response and describes their thinking by writing it on a piece of A4 (or smaller) and then scrunch the paper into a ball. On your command, all children throw their scrunched up paper balls around the room until you say stop. They then go and find a paper ball, open it up and read what is written. Children then add further ideas or information to this response, re-scrunch and on your say so, throw around the room. Do this one more time so that children open up another paper ball and they make any further addition or changes before throwing one last time. Children can open up a paper ball and share the responses given with a small group or the rest of the class. The papers they have in their hand is the one they talk about, not their own. Hold a class discussion and talk about the responses given. It provides a fun and engaging way for all children to get their ideas in the open. It allows children to compare and contrast their own ideas with others’ in the class. It provides a safe and nonthreatening opportunity to make everyone’s ideas public – there are no ‘wrong’ answers. It provokes self-reflection and helps children justify their thinking. Crumpled assessment is novel, it’s not for everyone but it is fun and allows you and every child to get into each other’s thinking. It does provide an opportunity for 100% active engagement and it can work for sharing ideas and helping children modify their thinking. Each scrunched up paper ball is different and what’s written inside is as unique as a snowflake. 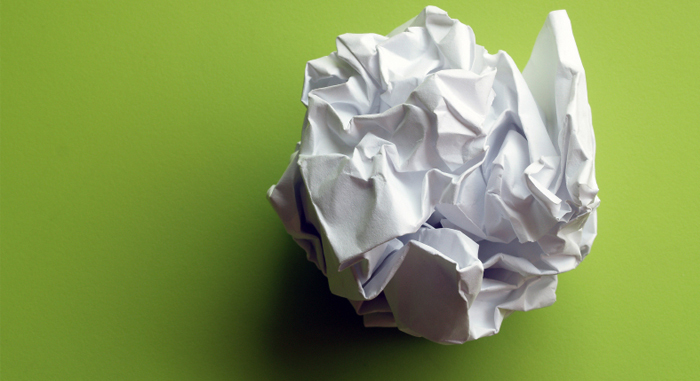 If Crumpled Assessment is too chaotic for you, try ‘Write, Fold and Pass’ – but where’s the fun in that?! See also Crumple and Shoot.